Do you have customers with outstanding debts? Turn those past due invoices into deposits. Our accounts receivable management services for commercial collections provides first class recovery solutions for business owners just like you. We act as an extension of your accounts receivable department and provide effective credit and debt collections throughout Oklahoma, Missouri, Louisiana, Kansas and Arkansas. • circumstances that require review of credit agreements and contracts. Jana Ferrell’s team of legal pros and collection specialists are qualified to determine your legal rights and create an actionable plan to locate and collect from over due accounts. Therefore, we work hand-in-hand with experienced staff of attorneys and collectors to maximize your return and get the revenue you’re owed. Our collectors deal with people with all kinds of issues. Missing debtors, evasive debtors and slow-to-pay clients are common in our business and we know how to find them and work with them to resolve their outstanding commercial debt. • legal action (if required). 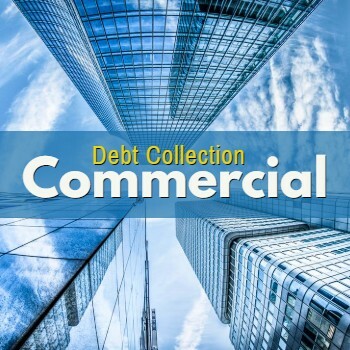 Our team of debt collection pros provide top-rated commercial debt recovery services, providing a wide-range of services to financial institutions, banks, credit unions, service professionals and customer lending clients. Because of our extensive experience, we offer small business debt collection as well. If your business has not been paid for services performed or products delivered, contact our professional team at the Oklahoma City office and we will help you resolve your commercial collections issues. Interested in Commercial Collection Services?